It is not uncommon for the world to discount the message of the Bible as archaic and irrelevant to our modern evolutionary state. Our science has moved us so far beyond the society that produced the Bible more than two thousand years ago; but just an informal observation of the world’s societies will readily reveal that no matter how scientifically advanced a society is, they have not advanced beyond the level of sin described in the pages of the Bible. That being the case, it becomes easier to disregard the message of the Bible and act as if it does not apply. Adopting that kind of attitude is like cutting the moorings of your ship and setting it adrift on a stormy sea. The anchorage is gone, and one is “tossed to and fro, and carried about with every wind of doctrine, by sleight of men, and cunning craftiness, whereby they lie in wait to deceive” (Ephesians 4:14). It is comforting to know that Jesus never changes. 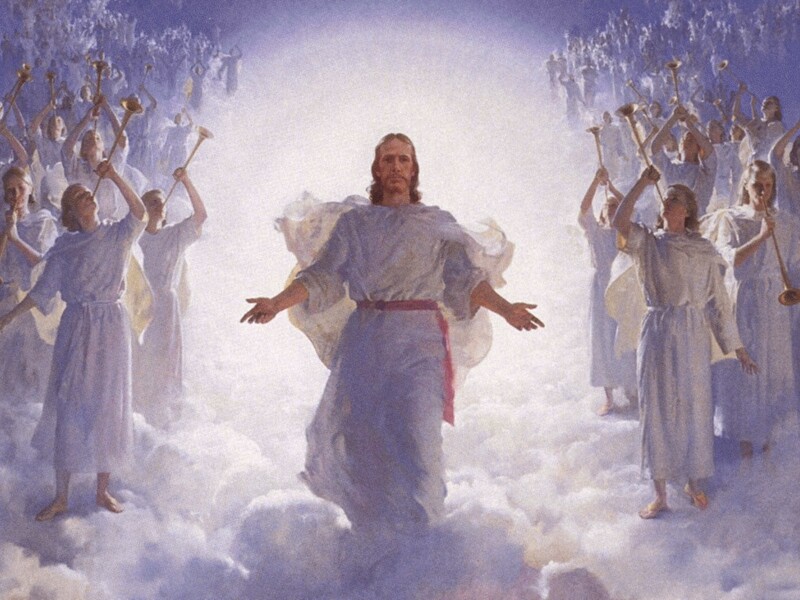 His power never diminishes: “All power is given unto me in heaven and in earth” (Matthew 28:18). His Word never changes: “Heaven and earth shall pass away, by my words shall not pass away” (Matthew 24:35). 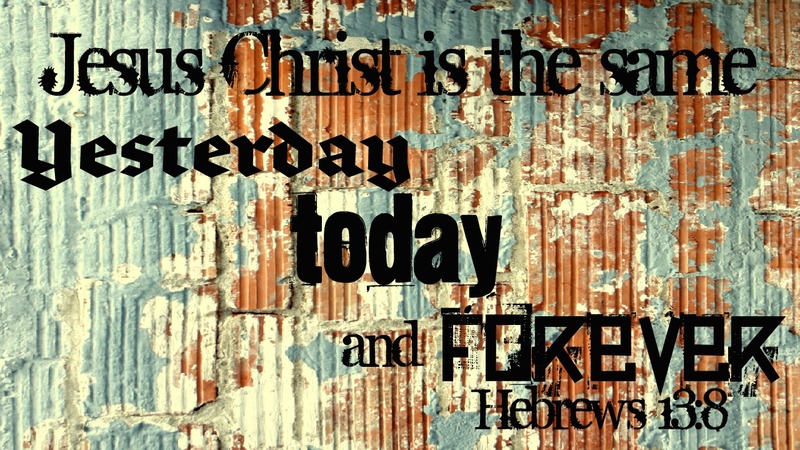 His love never changes: “Who can separate us from the love of Christ? … For I am persuaded, that neither death, nor life, nor angels, nor principalities, nor powers, nor things present, nor things to come, nor height, nor depth, nor any other creature, shall be able to separate us from the love of God, which is in Christ Jesus our Lord” (Romans 8:35-39). In Jesus, I’m safe evermore. Thank God for our immutable Christ! This passage conjures up a vision of the saints in a heavenly stadium peering over the edge of billowy clouds cheering us on in the contest of life. While there may be some truth in that, the verse refers to us having more than saintly cheerleaders urging us forward. The Greek verb translated “compassed about”—(echontes perikemenon) means “to hold around,” and it is present, active, nominative meaning that the subject is performing the action. In other words, “we are holding around us” this great cloud of witnesses. 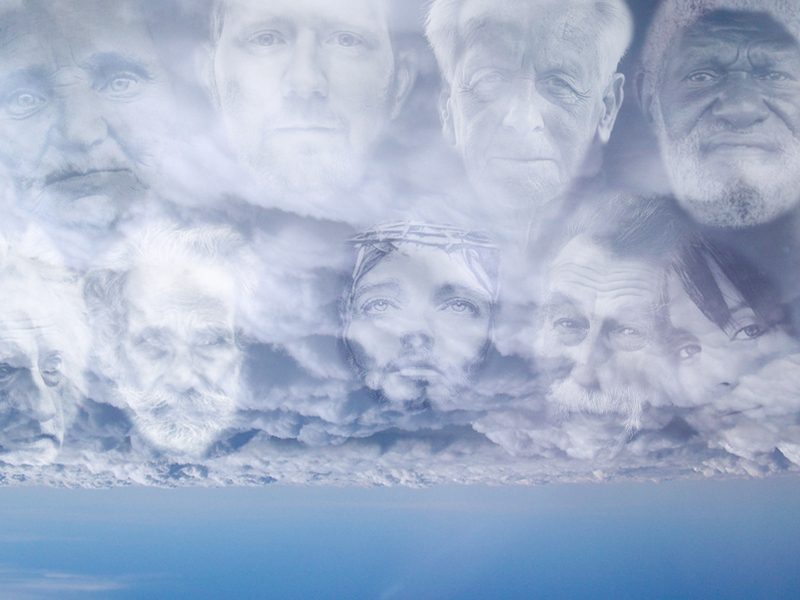 But who or what is this “great cloud of witnesses?” In the Greek, “cloud” is singular as it is translated in English, but this singular cloud contains multiple witnesses. “Witnesses” is the translation of the Greek martúron, which can be translated as martyr, witness or “record.” Considering that our verse begins with “wherefore” [therefore], we need to look back to what has been said previously and apply it to the current statement. 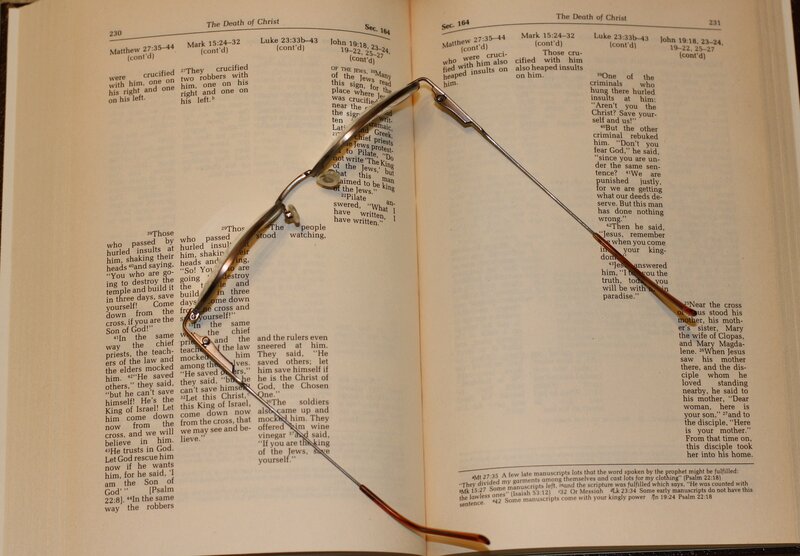 Chapter 11 of Hebrews is the “record” of the heroes of the faith. The emphasis of the record is not on the heroes themselves, but on their faith. “But without faith, it is impossible to please [God], for he that cometh to God must believe that he is, and that he is a rewarder of them that diligently seek him” (Hebrews 11:6). “We hold around us” this great “record” of the faith and of the faithful. This “record” informs us of how God rewarded the faith of those who have gone on before, and likewise He promises to reward those who demonstrate faith in Him today and who “diligently seek Him.” We also have the record of how God has provided for us in our own past. So, since we hold God’s great track record, we need to “lay aside every weight;” “For our light affliction, which is but for a moment, worketh for us a far more exceeding and eternal weight of glory; While we look not at the things which are seen, but at the things which are not seen: for the things that are seen are temporal; but the things which are not seen are eternal” (2 Corinthians 4:17-18). With all this in mind, “let us run with patience the race that is set before us.” God is faithful! This is readily recognized as Messianic prophesy identifying the coming Messiah as a descendant of Judah. The scepter, the rod indicating the king’s authority, was assigned to the tribe of Judah, never to depart until the coming of the “One Who Brings Peace” (the meaning of Shiloh). It is interesting that Israel’s first king, Saul, was not from the tribe of Judah, but rather from the tribe of Benjamin. First Samuel 12 records the ascension of Saul, Israel’s first king. Saul was the people’s choice, not God’s. “Then all the elders of Israel gathered themselves together, and came to Samuel unto Ra’-mah, And said unto him … make us a king to judge us like all the nations” (1 Samuel 8:4-5). Failure is assured when God’s people try to pattern themselves after the world, and once that route is chosen God will often stand back and let it happen. “And the LORD said unto Samuel, Hearken unto the voice of the people in all that they say unto thee: for they have not rejected thee, but they have rejected me, that I should reign over them” (1 Samuel 8:7). We are all guilty of that at one time or another. We do not want God ruling over us, so instead we opt for the fallacious idea of “self-rule.” The idea of self-rule is fallacious because no one is truly a free agent, but I digress. The wisdom of the world is never optimal. By the world’s standards, Saul was “a choice young man, and [handsome]: and there was not among the children of Israel a [handsomer] person than he: from his shoulders and upward he was higher than any of the people” (1 Samuel 9:2); but whereas “man looketh on the outward appearance … the Lord looketh on the heart” (1 Samuel 16:7).